iCup 13 Panel Drug Test without adulteration test. This is the largest panel configuration available. Includes Buprenorphine test for Suboxone. iCup 13 panel drug test I-DOA-11137-011. 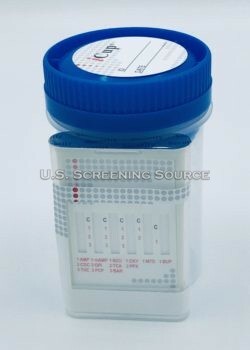 Test for COC, THC, OPI, AMP, mAMP, PCP, BZO, BAR, MTD, TCA, OXY, PPX, BUP. The iCup 13 panel drug test does not test for tampering.